this weekend i am going to be painting just about every room in the new home! i am quite excited to see how all the colours i picked will look. i stuck with warm grey paint tone's from farrow + ball's line of estate emulsion paints! but since getting the home ready will be keeping me quite busy over the next few weeks, i decided to get my thanksgiving menu ready early! 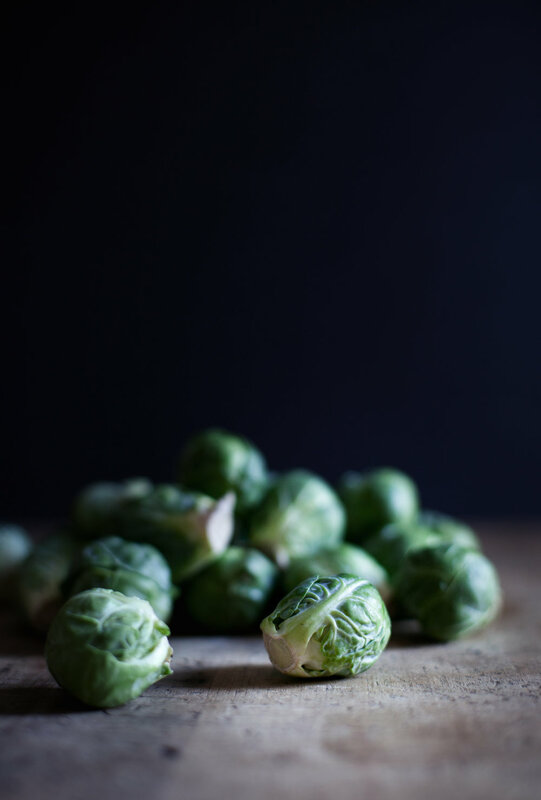 so i have teamed up with wayfair to share with you one of my all time favourite thanksgiving side dishes. i mean, pancetta!? it really doesn't get much better then that. 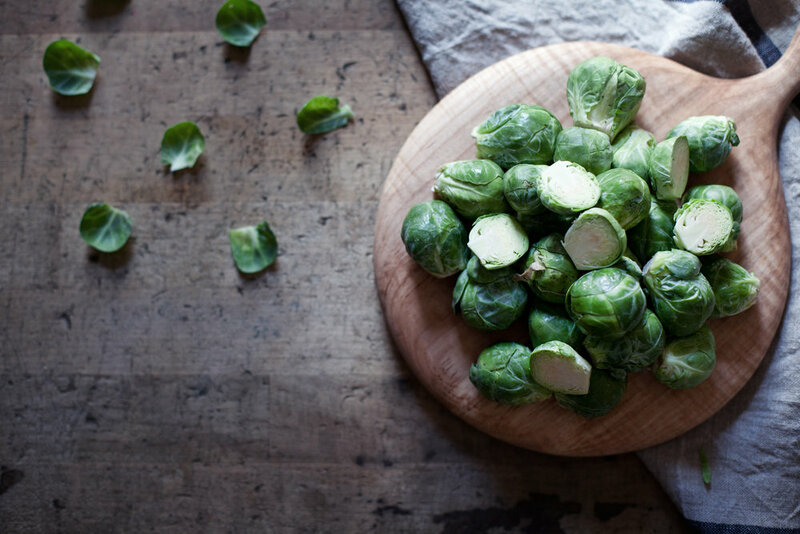 i never grew up eating brussles sprouts, so i never had any negative feelings towards these little guys. i actually love them. there is so much you can do with them! cook them in chicken stock, toss them in browned butter or go the sweet route & use apple cider. 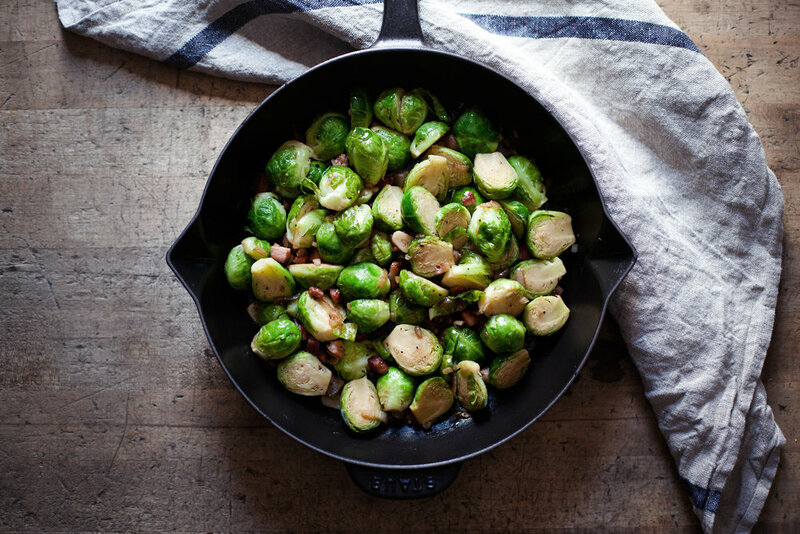 this is such a quick & easy one pot side dish to put together which is very important when preparing a whole thanksgiving feast! the less dishes to wash in the end, the better. you can find some fun thanksgiving decor, tablescape ideas & serving bowls, up on wayfair!, i even got a few items for the house too. okay, a few is an understatement.. i am starting to become best friends with the UPS guys. anyways, wish me ALL the luck with painting! i am sure going to need it once i finish one wall & see there is three more to go. 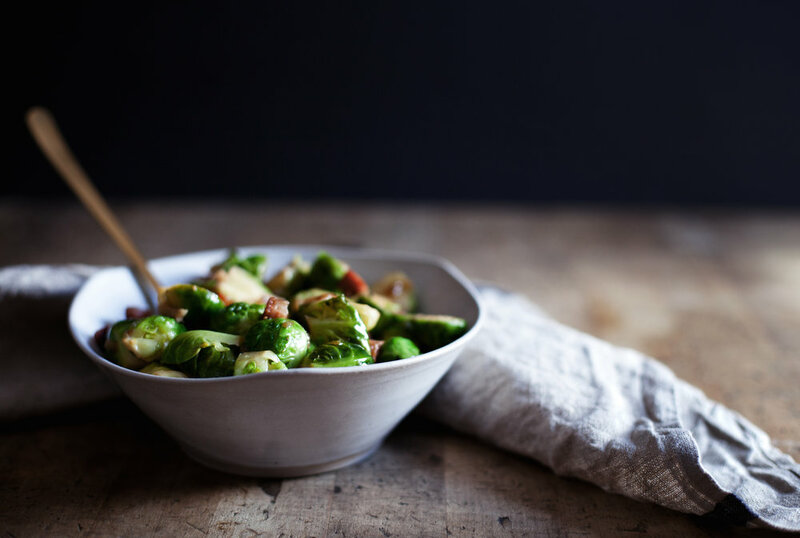 in a large pot of salted boiling water, add brussels sprouts. blanch them for two minutes & immediately submerge them into an ice bath. 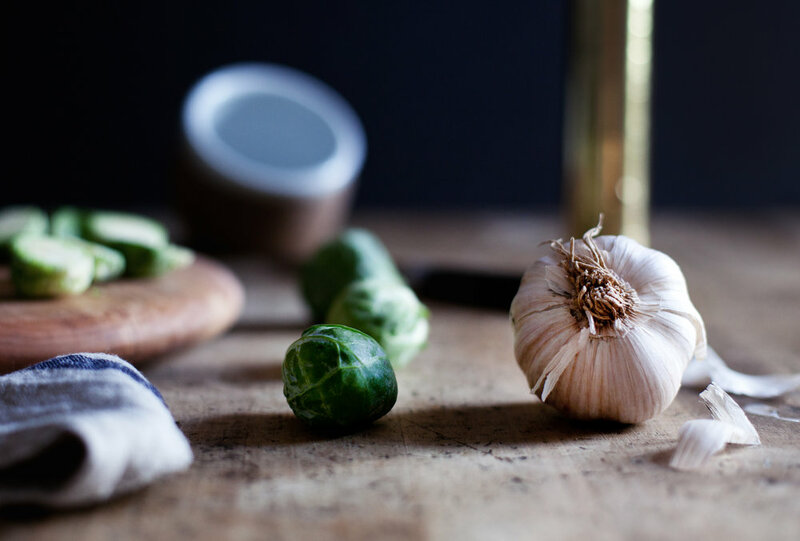 this will keep those sprouts bright & vibrant throughout the rest of the cooking process. set aside. in a sauce pan over medium heat add the olive oil & pancetta. cook until the pancetta is browned & crispy. remove pancetta but leave the fat to cook with. add the garlic & shallot, cook until translucent. about 5 minutes. 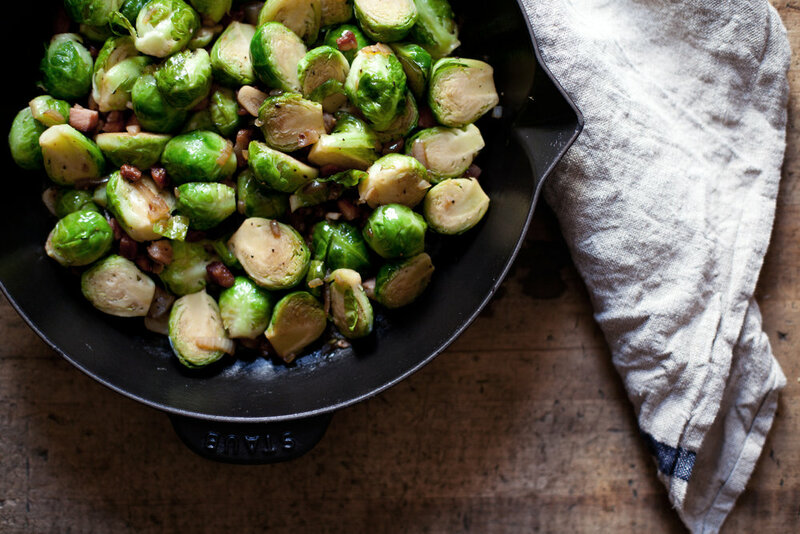 toss in the blanched brussels sprouts with the balsamic vinegar, salt & pepper. cook until tender, about 10 minutes. add the pancetta back in & pour into desired serving dish. this post was created in partnership with wayfair.ca for the pass the dish campaign! you can see the rest of the menu here: appetizer | main | side dish | dessert.